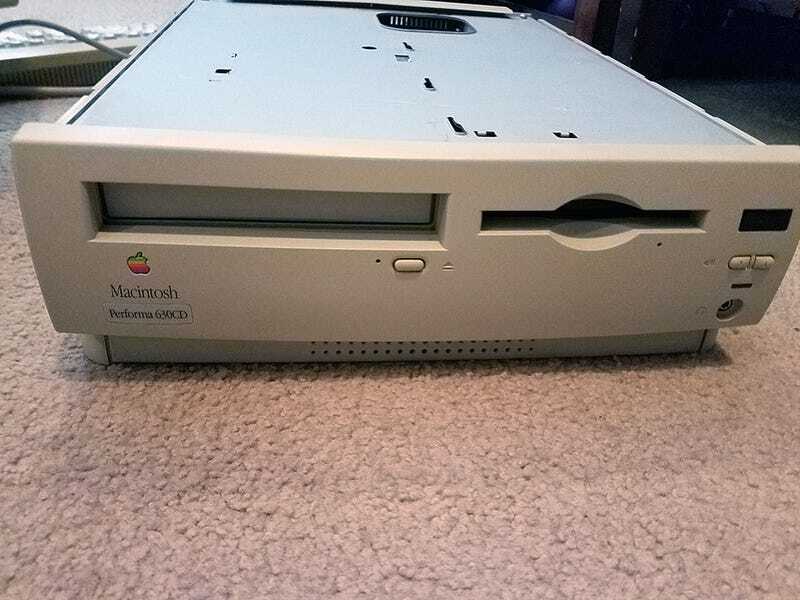 Macintosh Performa 630CD. Broke the top cover while cleaning; brittle plastic shattered into many pieces. The guts, all cleaned up! Apple Design keyboard. Nothing fancy here but it cleaned up well. Had all sorts of brown gunk on it. The clean one next to the dirty one. Actually the clean one was dirtier but they both came out looking like the left. Everything together! The faceplate isn’t properly installed yet... waiting until I’m done cleaning and installing stuff on the machine. Some Hello Kitty piano game that was already on there. Also came with a bunch of boxes of software you can see behind the monitor. Overall, pretty cool score. I want to replace the top cover, do a RAM upgrade and add networking.